How can I participate in ICO? Open https://crypto.tickets and click on “invest now” button. Sign in or sign up your e-mail. 5. Send your LTC to this generated address from any exchange or wallet. 6. 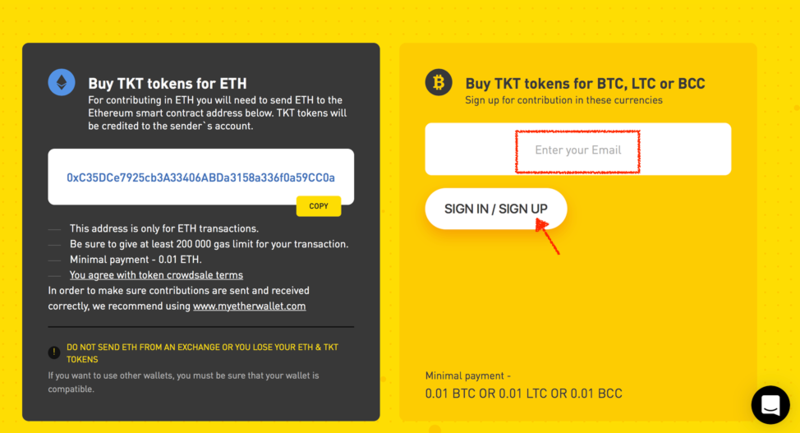 Scroll down the page to “how to get TKT tokens” tab and enter Your Ethereum address (it is required for getting your TKT tokens, but you can add it later). Please, pay attention, after entering the address will be saved and it will NOT be possible to change it. 7. 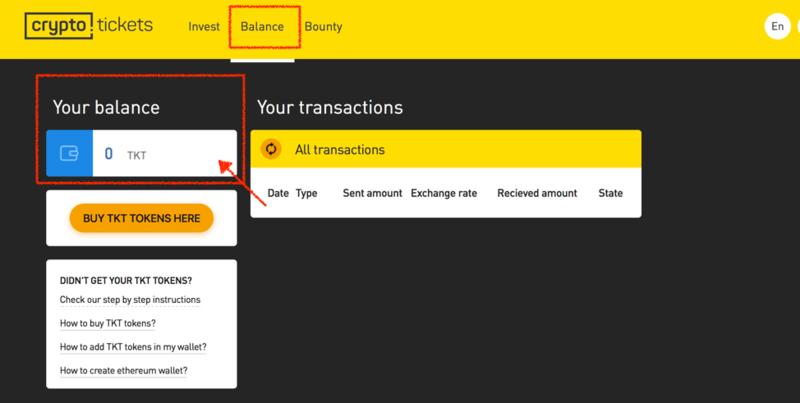 Go to Balance tab, your TKT tokens will be displayed there in about 3 minutes. Your TKT tokens also will be sent to your ERC20 comparable wallet Ether address you entered.